The rich, warm colors of this beautiful Natural rug is reminiscent of a desert sunset. It will set an inviting tone for any room with its intriguing design and contemporary flair. Handcrafted of all natural jute and chenille accents. Environmentally friendly with a very natural look and feel. Bring the feel of the outdoors into your home with this beautiful Natural rug. Casual look, easy to clean and maintain. Dimensions 93.0 In. X 60.0 In. X 0.4 In. 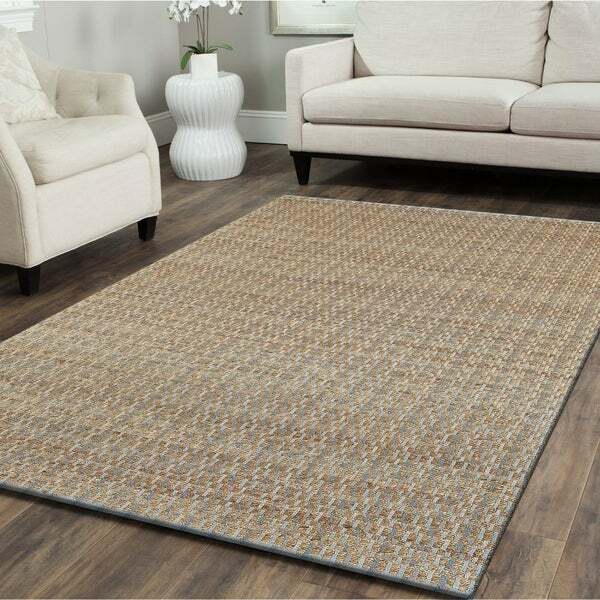 Laramie Abstract White/ Dark Grey Indoor Area Rug (5' x 7'6) - 5'x7'6"
Alison Taupe Contemporary Area Rug - 5'6" x 8'6"